A Spanish-Latin Ritual with Directions in English. By Simon OMI., Rev. A.
Paterson, New Jersey. : St. Anthony Guild Press.. Very Good. 1948. Hardcover. 24mo - 13.5 x 9 cm. ; ix - 173 pp. Burgundy cloth over boards with gilt lettering (faded) on the front board. In two parts, Part One: "Administration of the Sacraments and Other Liturgical Services" and Part Two "Various Blessings". The text for the rituals is printed two columns per page with the Latin and Spanish texts next to each other. Interspersed with rubrics in red and English directions in black. Three page index at the back. Minor wear to the spine tips and the fore corners of the boards and the end papers are tanned, otherwise clean with a sound binding. 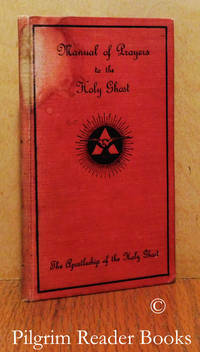 A clear and removable archival cover has been fitted. .
Manual of Prayers to the Holy Ghost. (The Apostleship of the Holy Ghost: Love and Suffering). By Felix of Jesus, Very Reverend Fr. (editor). Dublin, Ireland. : Browne and Nolan Limited.. Good with no dust jacket. 1925. First Edition. Hardcover. 16mo - 15 x 9 cm. ; ix - 99 pp. Red cloth over boards with black lettering on the front board only. The text block head edges are stained red as issued. Fr. Felix of Jesus was the Superior General of the Missionaries of the Holy Ghost and the Director of the Apostleship. After an introduction detailing the indulgences,methods, and the advantages of the Apostleship, there follow prayers and meditations/reflections including litanies, consecrations, hymns, petitions, etc. The library markings, none of which are external, are a stamp on the title page and attachments on the back end papers. The boards are lightly worn on the corners as are the spine tips with the head of the spine and the front board head having a whitened or bleached stain. The end papers are browned. Otherwise clean with a solid binding. A clear and removable archival cover has been fitted. 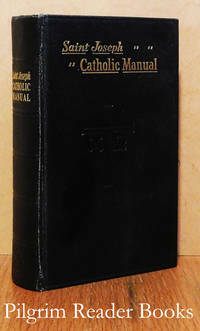 The shipping cost for this small item will be reduced after it is ordered. .
Saint Joseph Catholic Manual: A Complete Manual of Christian Doctrine. New York. 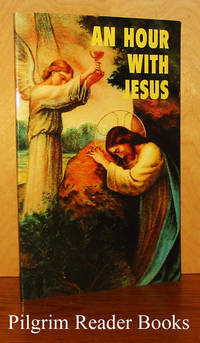 : Catholic Book Publishing.. Very Good+ with no dust jacket. 1955. First Edition. Hardcover. 16mo - 15.5 x 10 cm. ; (4) - 797 pp. Black cloth over boards with gilt lettering on a ribbed spine and gilt lettering with a blind stamped cross on the front. All text block edges are dyed red as issued. The title continues: " . . . with Prayers and Devotions, the Lives of the Saints and Epistles and Gospels for Sundays. Colored Illustrations." Patterned end papers. Two marker ribbons set into the headband. Thirty two page photographic section of the Holy Sacrifice of the Mass. Sixteen pages of coloured plates illustrating the Mysteries of the Rosary. Two sixteen page sections of coloured reproductions of various saints. Sixteen pages of coloured reproductions illustrating the Stations of the Cross. Thirty two pages of coloured reproductions illustrating the Life of Christ. All text is in English. The externals show quite mild wear and the text block edge red staining is faded and quite faded on the head edge. Otherwise the book is very clean with a solid binding and shows minimal signs of being used. .
Manual of the Sisters of Providence. Saint Mary-of-the-Woods, Indiana. : Sisters of Providence.. Near Fine with no dust jacket. 1950. Hardcover. 16mo - 15 x 9.5 cm. ; x - 312 pp. 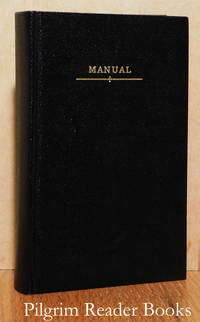 Black cloth over boards with the simple title "Manual" in gilt on the front board only. All text block edges are stained red and one red book mark set into the head band as issued. Comprehensive 8 page table of contents at the front. A few sections (some devotions, the ordinary of the Mass, some morning and evening prayers) are in both Latin and English usually in a 2 column per page format. The red stain on the head edge of the text block is a tad faded, otherwise this prayer manual appears to have been used very little if at all. A clear and removable archival cover has been fitted. .
Milford, Ohio. : Riehle Foundation.. Fine. 1994. Softcover. 1877678279 . 12mo - 18 x 10.5 cm. ; v - 104 pp. Full colour card stock covers. Contents: Part I: Meditations, Part II: Prayers, Part III: Prepared one hour format, Part IV: Prepared second hour format. From the back cover: "The book provides an extensive segment of meditations which also include a prayer response. There is an additional segment devoted to a variety of prayers and another which offers a prepared format covering a one hour period. It is especially suggested to those who might have difficulty with meditation". 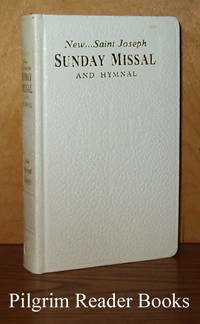 An as-new and unused book. .
By Studer OMI., Fr. Louis. (editor). Belleville, Illinois. 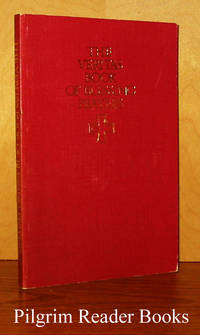 : Missionary Oblates of Mary Immaculate.. Near Fine with no dust jacket. (2002). Hardcover. 16mo - 14.5 x 1.5 cm. ; 256 pp. 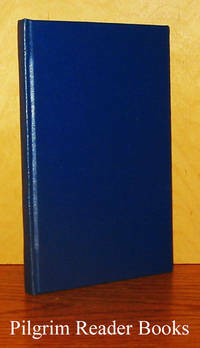 Blue paper over boards with gilt lettering on the spine and the front board along with gilt decorations on the front cover. No dust jacket as issued. 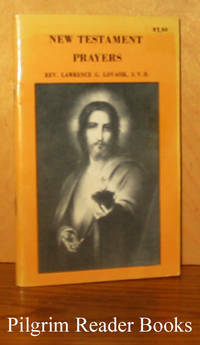 First published in 2002, this is the second edition. Illustrated with both colour and black white plates throughout. Very minor shelf wear to the spine tips, else fine. .
Missel de la Semaine; Texte liturgique officiel. Paris, France / Montreal, Quebec. : Desclee / Fides.. Very Good. 1973. Hardcover. 16mo - 17 x 10 cm. ; 43 - (5) - 2042 pp. The text is solely in French. Brown cloth over boards with gilt lettering (faded) on the spine. Three marker ribbons set into the headband. The introduction to the readings of the liturgical year is by André Rose. The readings for all three liturgical cycles (A, B, and C) are present with the liturgical calendar starting with cycle B in 1873 and ending with cycle in 1990. The text of the Eucharistic liturgy is in a larger font with full rubrics. Five indices (or "table") at the back: "Table biblique de lectionnaire des féries et des fêtes", "Table des psaumes", "Table des fêtes", "Table des préfaces", and lastly "Table générale". A few pages have minor dog eared creases to the fore corners and the brown cloth is a tad faded, otherwise clean with a solid binding. .
Blessings and Prayers for the Home and Family. Ottawa, Ontario. : Canadian Conference of Catholic Bishops / CCCB.. Near Fine with no dust jacket. 2004. Hardcover. 0889975035 . 4to - 25 x 16.5 cm. ; xiv - 362 pp. Blue paper over boards with gilt lettering on the spine and gilt lettering and decorations on the front board. Two marker ribbons set into the headband as issued. No dust jacket present as issued. Preface by Bishop Gerald Wiesner followed by 7 pages of introductory notes and pastoral advice. The main body of the text is rubricated and in a large font for ease of ceremonial reading. Nine page general index at the back. The book only has minor shelf wear to the spine tips and is otherwise fine. . 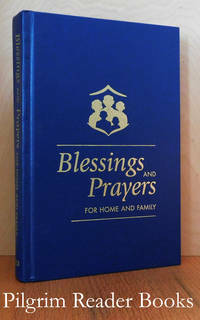 The Veritas Book of Blessing Prayers. By Magee CM., Brian. (editor). Dublin, Ireland. : Veritas Publications.. Very Good. 1989. Softcover. 1853900400 . 12mo - 19 x 12.5 cm. ; (10) - 214 pp. 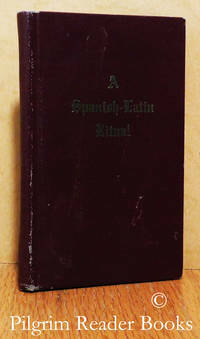 Red linen over thin and flexible card stock covers with gilt lettering on the spine and the front cover. The introduction giving a short history of blessings is followed by a 4 page section entitled "The Celebration of Blessings" which outlines a para-liturgy for a suggested ritual of the actual invocation of the blessing. A very useful 3 page index at the back that is cross referenced to the table of contents. Minor wear to the covers with some light rubbing to the red linen. 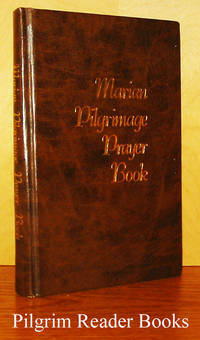 The interior is clean and the binding is tight. .
Marian Pilgrimage Prayer Book. (Large type). By Hanson OMI, Fr. Michael with Fr. William Fournier OMI, Fr. John Maronic OMI and Jacqueline Lowery Corn. Belleville, Illinois. : National Shrine of Our Lady of the Snows.. Very Good. 1986. Hardcover. 8vo - 19 x 12 cm. ; 251 pp. Brown paper over boards with a faux leather finish and gilt lettering on the spine and the front board. All text block edges are gilt though quite faded now. A publication copyrighted by the Missionary Oblates of Mary Immaculate in Rome. . 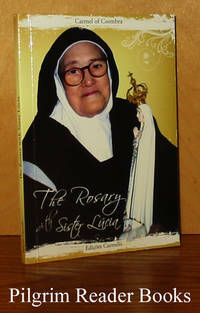 The Rosary with Sister Lúcia. By Carmel of Santa Teresa, Coimbra. Marco de Canaveses, Portugal. : Edicoes Carmelo.. Near Fine. 2010. Softcover. 9789726401315 . 16mo - 15 x 10.5 cm. ; 86 - (2) pp. Glossy photographic covers. Translated from the Portuguese "O Rosário com a Irmã Lúcia" by James A Colson. Meditations on each of the 15 mysteries followed by 8 pages of prayers and further writings on Devotion to the Immaculate Heart, the need for reparation, the call of Jesus and Mary, promises of Our Lady, and the First Saturdays. Illustrated with black and white photographs throughout. Very minor shelf wear to the covers, else as-new. .
New . . . Saint Joseph Sunday Missal and Hymnal. New York. 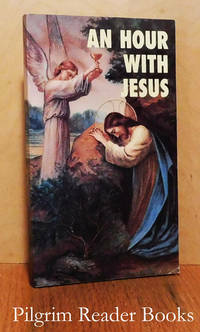 : Catholic Book Publishing.. Fine. 1969. Hardcover. 16mo - 15 x 9.5 cm. ; 528 pp. White cloth with a faux leather finish over boards with gilt lettering on the spine anfd the front board. All text block edges are gilt and two marker ribbons are set into the headband. Commonly used prayers and devotions are printed on both the front and back end papers. The title page continued: "The complete masses for Sundays and holydays with the people's parts of Holy Mass printed in boldface type and arranged for parish participation . In accordance with the new revised liturgy with many study aids and extra features." The missal appears to have been used very little if at all. .
By Missionary Oblates of Mary Immaculate. Belleville, Illinois. : Missionary Oblates of Mary Immaculate.. Near Fine. 1992. First Edition. Softcover. 24mo - 14.5 x 10 cm. ; 256 pp. 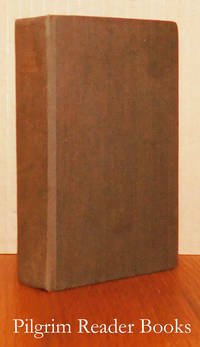 Dark, very dark, brown faux leather (vinyl) over flexible boards with gilt lettering on the spine and the front. 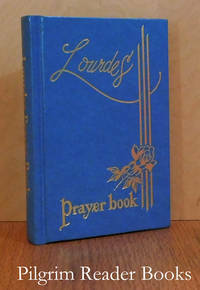 A prayer book from the National Shrine of Our Lady of the Snows in Belleville, Illinois. 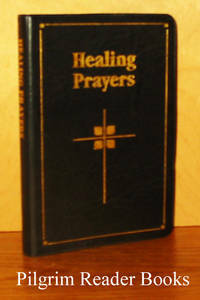 Twelve themed sections of prayers: Traditional Catholic Prayers, Healing in the World, Healing in the Nation, Healing in the Local Community, Healing in the Church, Healing in the Family, Healing of Memories, Healing of Emotions, Healing of the Body, Healing of the Spirit, Healing Psalms, and lastly, the Rosary. 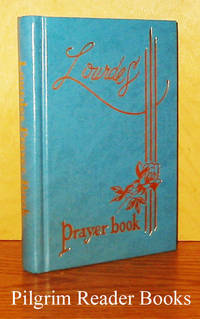 Illustrated with several full colour photographic plates from nature and several blank pages for the inclusion of personal prayer petitions. Very mild shelf wear to the cover edges, they are yapped with a 3mm overhang on all open sides, otherwise the book seems to have been used very little if at all. .
New Testament Prayers, Drawn from Scriptural Sources. By Lovasik SVD., Rev. Lawrence G.
Tarentum, Pennsylvania. : Self published.. Very Good. Softcover. 16mo - 16 x 10 cm. ; 48 pp. Printed and illustrated wrappers in a saddle stapled binding. No date given but probably the mid to late 1950's or early 1960's. The prayers are grouped into 2 categories; Prayers from the Gospels and Prayers from the Epistles. Minor wear and sunning or fading to the covers, else clean and tight. 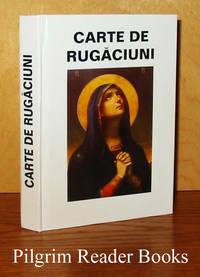 The shipping cost for this small item will be reduced when ordered. .
Carte de Rugaciuni. (Tiparit cu Binecuvantarea Preasfintitului Calinic Episcopul Argesului). Galati, Romania. : S. C. Don Star SRL.. Very Good+. Hardcover. 9738460301 . 24mo - 14 x 10 cm. ; 382 pp. The text is in Romanian. Pictorial glossy paper over thin though rigid boards. This is a large print edition. Several pages have dog eared creases on the top fore edge corners and the covers (case work) are slightly skewed due to a minor binding flaw. Otherwise very clean and sound. .
Belleville, Illinois. 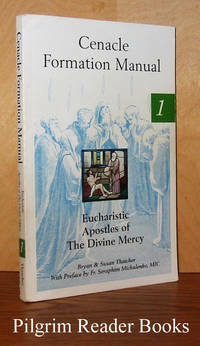 : Missionary Oblates of Mary Immaculate.. Fine with no dust jacket. (2002). Hardcover. 16mo - 14.5 x 10 cm. ; 256 pp. Blue paper over boards with gilt lettering on the spine and the front board along with gilt decorations on the front cover. No dust jacket as issued. First published in 2002, this is the third edition. Illustrated with both colour and black white plates throughout. .
Eucharistic Apostles of The Divine Mercy: Cenacle Formation Manual I. By Thatcher, Bryan and Susan with Fr. Seraphim Michalenko, MIC. Stockbridge, Massachusetts: Marian Fathers of The Immaculate Conception.. Good. 2002. Softcover. 094420368X . 8vo - 20.5 x 13 cm. ; 161 pp. Three main parts: Major Themes, Daily Prayer and Practices and lastly, Weekly Cenacle Formation Schedule (50 weeks. One page bibliography at the back. Several instances of highlighting in a bright yellow and some marginalia in both pencil and ink. All of these have been neatly done. Otherwise the book has some mild shelf wear to the externals. Remnants of a previous owner's label on the first page. .
Goleta, California. : Queenship Publishing.. Fine. 2000. Softcover. 157918135X . 8vo - 22 x 13.5 cm. ; iv - 124 pp. Full colour card stock covers. First published by the Riehle Foundation in 1994, this is a new edition. Contents: Part I: Meditations, Part II: Prayers, Part III: Prepared one hour format, Part IV: Prepared second hour format. From the back cover: "The book provides an extensive segment of meditations which also include a prayer response. There is an additional segment devoted to a variety of prayers and another which offers a prepared format covering a one hour period. It is especially suggested to those who might have difficulty with meditation". An as-new and unused book. .
By Members of the Oblates. (OMI). Moosonee, Ontario. : Presses Missionaires Ste. Therese de l'Enfant Jesus.. Fine. 1960. Hardcover. 16mo - 16 x 10 cm. ; 81 pp. Blue cloth over boards with no external lettering. Imprimitaur label affixed to the front paste down end paper - Bishop Henri OMI, the then Apostiolic Vicar of the James Bay diocese. The text is entirely in Cree syllabics with the exception of the title page and the pagination numbers. Black and white frontis photograph of Pope John XXIII and several small illustrations throughout reproduced in either a red or blue tone. . 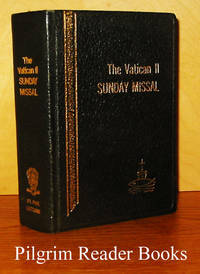 The Vatican II Sunday Missal: A B C Cycles from 1975 to 1999 and thereafter. By Daughters of St. Paul. (editors). Boston, Massachusetts. : St. Paul Editions.. Very Good+ with no dust jacket. 1974. Hardcover. 16mo - 16.5 x 11.5 cm. ; 1113 - (5) pp. Black cloth with a faux leather finish over boards with gilt lettering and decorations on the spine and the front board. The text block edges are stained a golden yellow as issued. Four book mark ribbons set into the headband. The title page continued: "Introduction and seasonal themes from Pope Paul VI. Foreword, biblical introductions to each reading and instructions on developing one's faith by the Most Reverend John F. Wheaton, Archbishop of Hartford, Connecticut. Scripture texts from the New American Bible". The externals show only mild wear to the fore corners and spine tips while the interior is clean and the binding is sound. .